I commissioned Ken Kelly to make the cover art for the sequel to Lords of Dyscrasia, and the painting is due shortly. 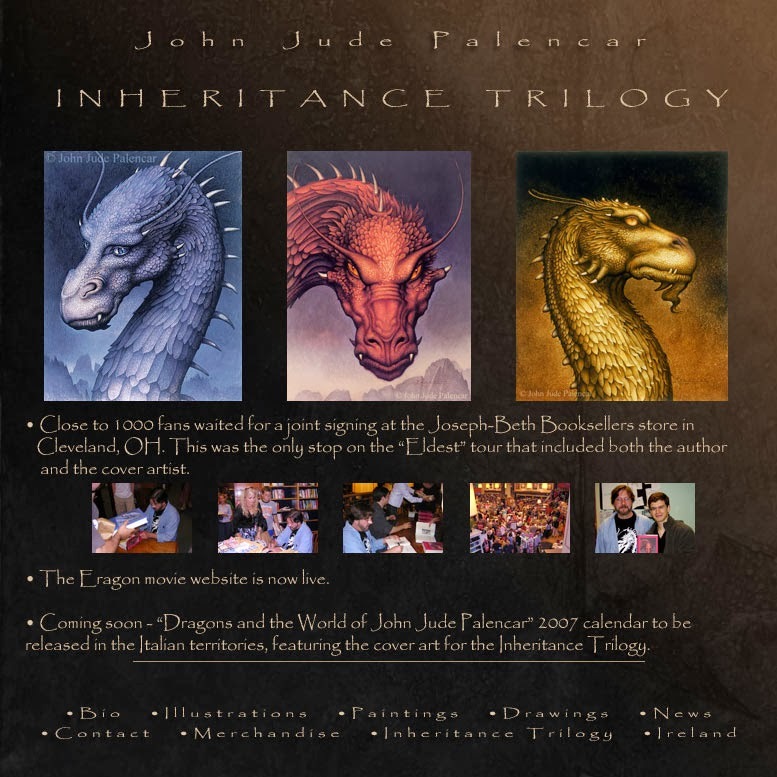 When the cover art is completed, I will share a blog post chronicling the design.Expect more updates on the sequel soon. The target publishing date is early 2014. 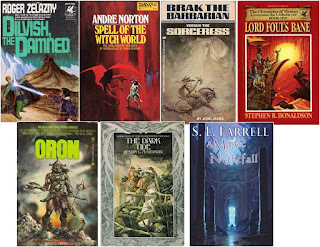 Ken Kelly is a famous fantasy artist who studied under the legendary Frank Frazetta. Kelly has become a legend himself; browse his oil painting gallery and you will recognize the Horseclan covers, tons of Conan covers, etc. 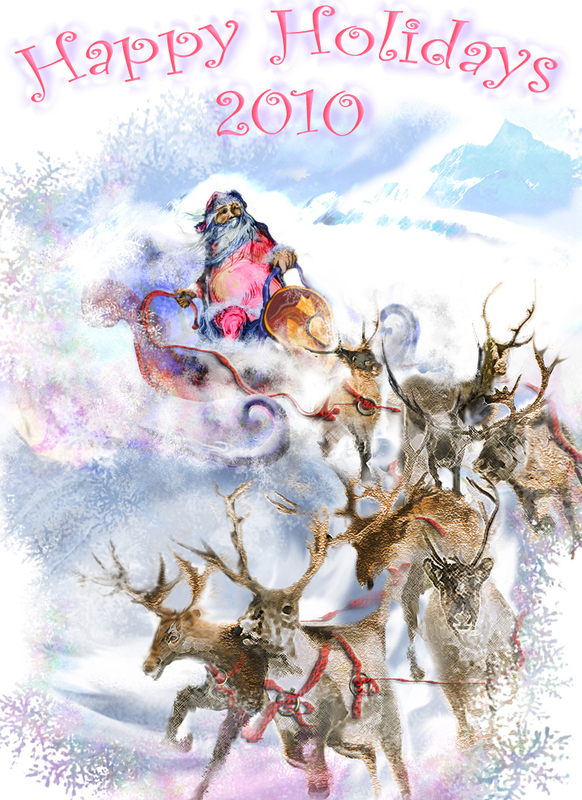 Of course I have a hobby creating Season Greeting cards (link to S.E. 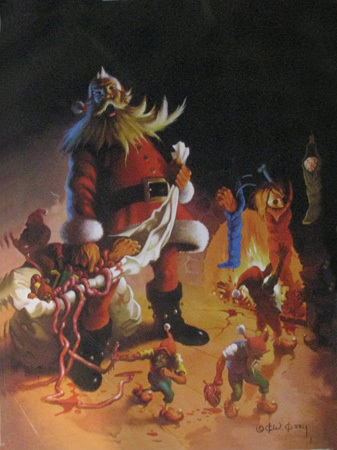 's card gallery), sometimes with a dark twist...and sometimes with an aim to mimic Frazetta (see 2010 card), but I never approached the darkness Ken Kelly presented so well in "Seasons Greetings". I have already started this year's card (yes, I know it is only August, but my Fall schedule is busy). No worries...my card will not be this dark. As discussed previously (Weird, Dark Art Design: Implicit vs. 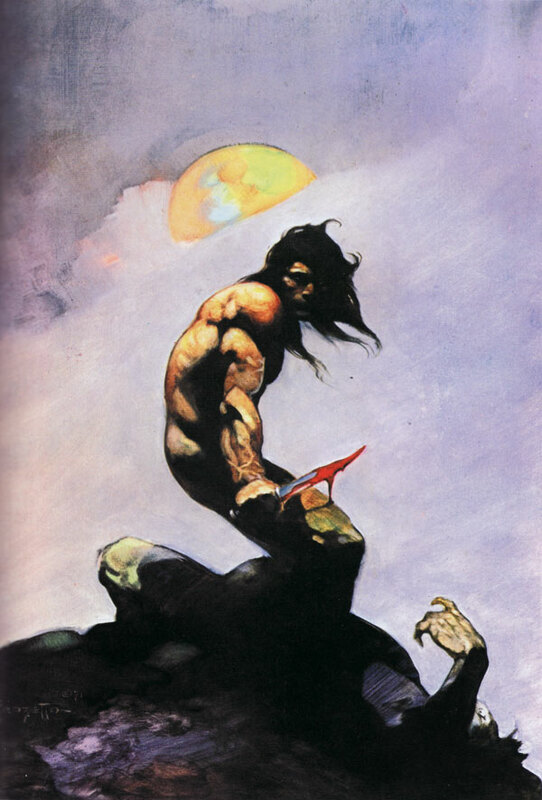 Explicit Gore and Horror) renowned fantasy artist Frank Frazetta was a master at creating vivid, emotive works noted for beautiful depictions of human anatomy, typically with limited subjects centered in the image (for more on composition, I recommend reading Scott McDaniel's dissection of Frazetta's "Tanar of Pellucidar"). This post consolidates some of ImagineFX 's tutorials/movies honoring his style. 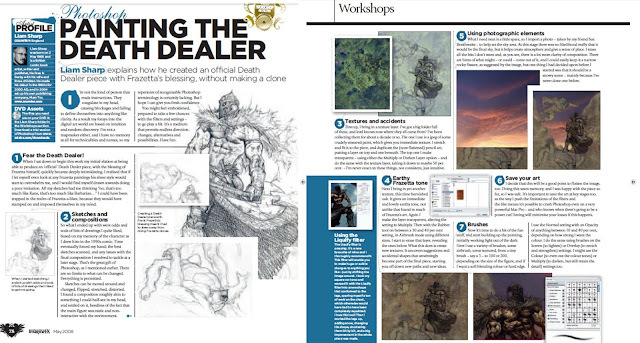 ImagineFX is the premiere digital magazine for today's artists. It takes a holistic approach toward creating art. I was particularly attracted to its emphasis on combining traditional drawing/inking approaches with digital rendering (coloring). 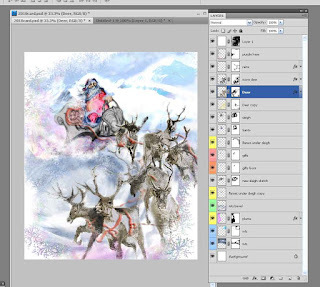 ImagineFX is available by PDF and hardcopy magazine; they are known for providing digital content (images, textures, Photoshop brushes) on a DVD including videos of the artists creating their work (now being posted on their YouTube Channel). 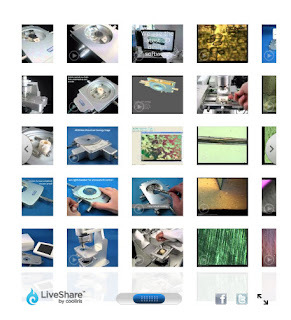 The videos are not replacements for the magazine write-ups, and often do not have audio. However, watching the enhanced time-lapse process in "real-time" is insightful for those learning how to compose a classic fantasy scene. 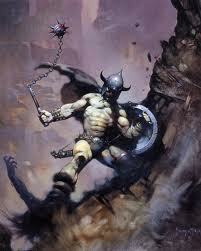 Frazetta's "Warrior with Ball and Chain" --Where is the Gore? Frazetta posed that a portion who admired and attempted to imitate his work did not understand why his designs were effective. So wrote R.E. Howard who funneled his views of weird art though his characters, as in the above quote from The House in the Oaks (a story posthumously finished by August Derleth). 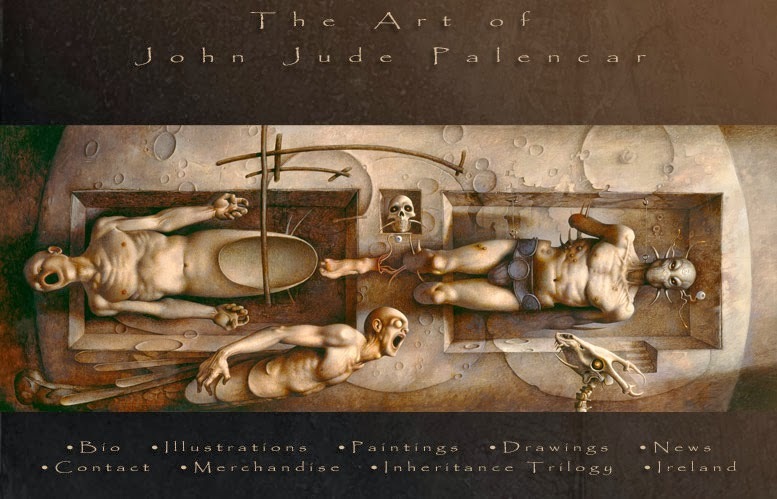 Conveying aesthetic events is a key success criteria expressed by many weird artists. Dark fantastical art serves as an experiential map that appeals to the futile hopes of readers who, mindful of the terror but driven by conviction, want to understand the human spirit. Those who think dark art is scary and evil or necessarily gory, those who reprehend it, are merely ignorant. Perhaps those called by dark muses care to endure the terrific process of speculating, researching, and mediating the unknown by reading and writing. Those not willing to experience weird art, but are willing to critic or trivialize it, may just be terrified to explore the human spirit. 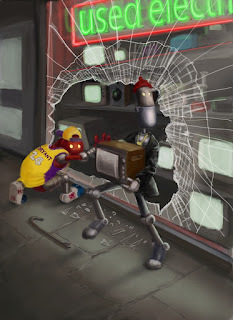 iii Howard, R. E. (2001). The House In The Oaks, Nameless Cults. 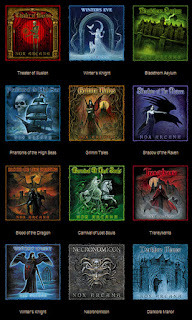 Oakland, CA, Chaosium Publications. P168. See here! Ohio has Authors, Musicians, Illustrators, & Metal-Smiths! Swordsmen and Sorcerers' Guild of America (SAGA, 1960-80s) was a group of authors that sparked a revival/growth of the Sword and Sorcery genre--represented by a series of anthologies called Flashing Swords (graced with covers from Frazetta and edited by Lin Carter). Frazetta’s covers are known for revitalizing the genre. 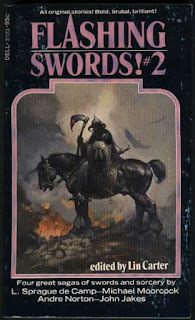 Carter had his own passion to evolve Sword & Sorcery (with L. Sprague de Camp, Carter posthumously “co-authored” several Conan tales in the 1960’s for the Lancer editions that published “all” the Conan tales in chronological order). 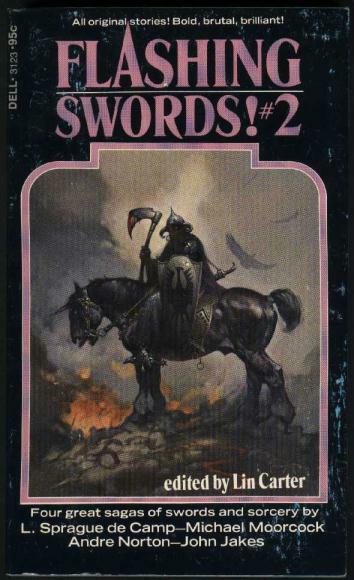 By design, each story for Flashing Swords was newly crafted; the idea being to generate and accumulate a new foundation for Sword & Sorcery. 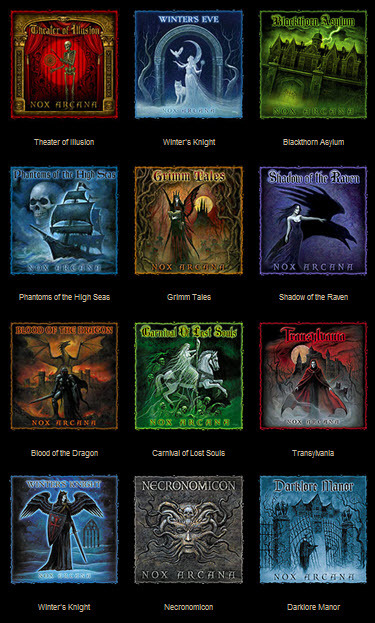 I stumbled across Nox Arcana (formed ~2005) as I hunted the web for background music to play while composing/drawing. Lead musician and accomplished artist, Joe Vargo hails from Cleveland. Nox Arcana paired with gothic author and singer Michelle Belanger (fellow Ohian) to produce Blood and Angels. 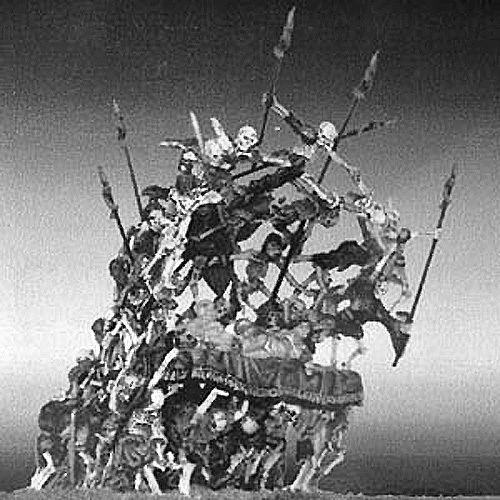 Ironwind metals essentially grew from Ral Partha (1975-2001) based out of Cincinnati. Their current big brand is based on the sci-fi board game Battletech. 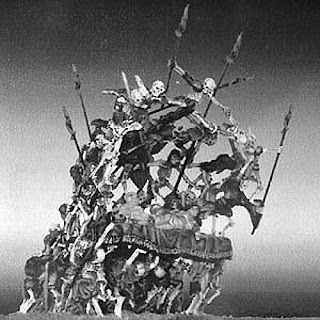 Once upon a time Ral Partha was a major competitor to the miniatures from Games Workshop’s Warhammer—as Ral Partha had garnered the rights to produce AD&D miniatures (1987, see the complex history of Ironwind metals). Who were the Picts? 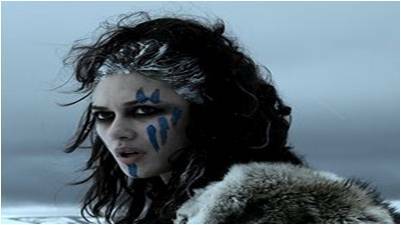 The mystical Picts were iron-age Caledonians, the indigenous people of Scotland. Labeled barbarous, the tribes were never conquered by the Romans; instead, they were eventually isolated by Hadrian's Wall. 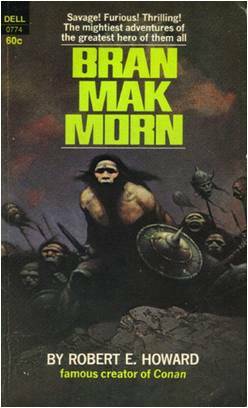 Picts consistently influence fantasy tales, including many Arthurian legends, Howard's Bran Mak Morn, Arthur Machen's Litte People, and Kuttner's Pikht's of Atlantis. This alone makes their aura sufficient to work with, but my fascination lies with their name since Picti means 'colored people' in Latin. 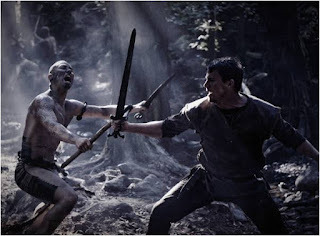 Julius Caeser's documentation (de Bello Gallico ~ 45AD) indicates that the local Picts marked their bodies with vitrum before going to battle, though many think they were painted with woad (a blue dying plant akin to indigo). The Legio_IX_Hispana is a roman legion that mysteriously disappeared ~120 AD. 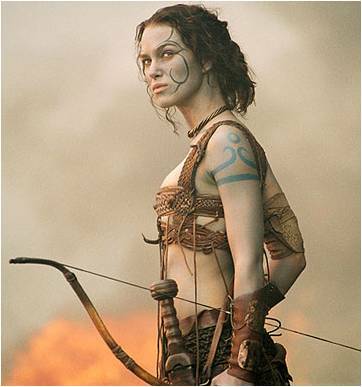 In 2004, they appeared in the Historical-Fiction-Action movie King Arthur in which Guinevere is portrayed as a Pict (played by Kiera Knightley); I recommend the Director's cut which includes short, but worthy extra scenes fleshing out Arthur's motivations. 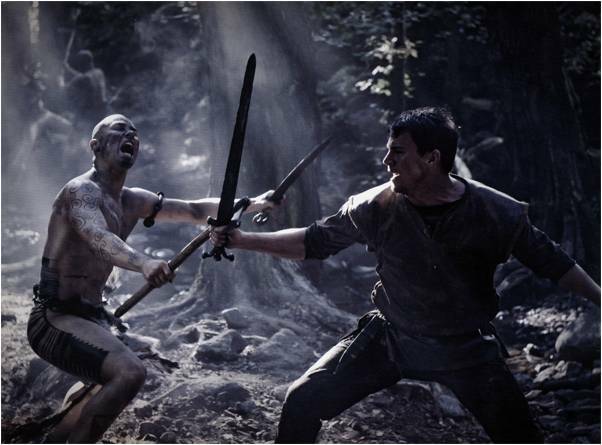 Hammer of the Gods (2013): ﻿﻿﻿This brutal Viking movie depicts the Picts as cannibalistic. •If there is any bridge between Howard's work and Lovecraft, it is Bran and his Picts. Lovecraft and Howard had extensive conversations about the Picts and their historic origins. 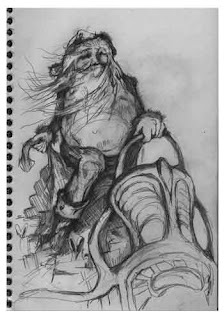 As Bran and his Picts constitute a majority of Howard's 'weird' sword & sorcery landscapes, they resonated with me. Karl Edward Wagner is worth mentioning here. 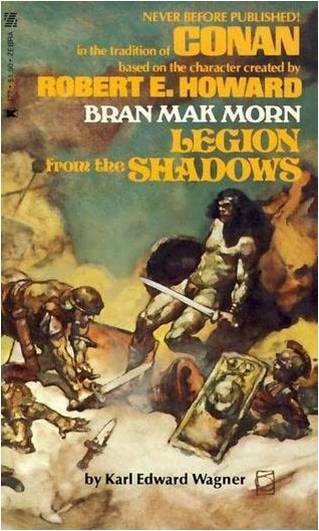 He constructed a convincing novel length pastiche of Bran Mak Morn called Legions of the Shadows (1976). He was also a well respected horror writer and anthology editor and, like his predecessors, had a fascination with art, which is demonstrated in his Kane story Dark Muse and his short story Sticks (1974). 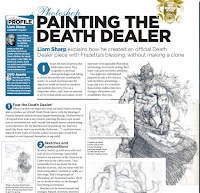 Although I enjoyed the extended insight into Bran Mak Morn's world, I still felt the need to build on the Pict's connection to divine art. Making Holiday Cards has become an evolving tradition. 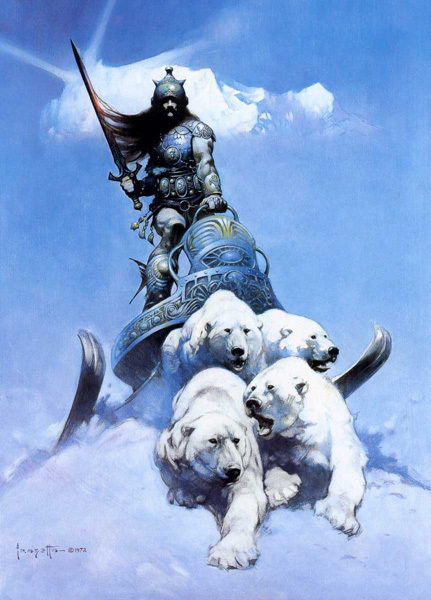 The composition is in tribute Frank Frazetta's Silver Warrior cover art (Frazetta was a legendary fantasy who passed away this year- 2010; Heidi insisted I remove the sword from Santa's hand...actually she talked me down from doing a "Gift Dealer" rendition of Santa riding Rudolf that mirrored Frazetta's Death Dealer --actually, "Father Christmas" has a history of riding Yule Goats in Scandinavia folktales, so this might be okay for next year's theme).